Scobis Company specializes in making first impressions lasting impressions. 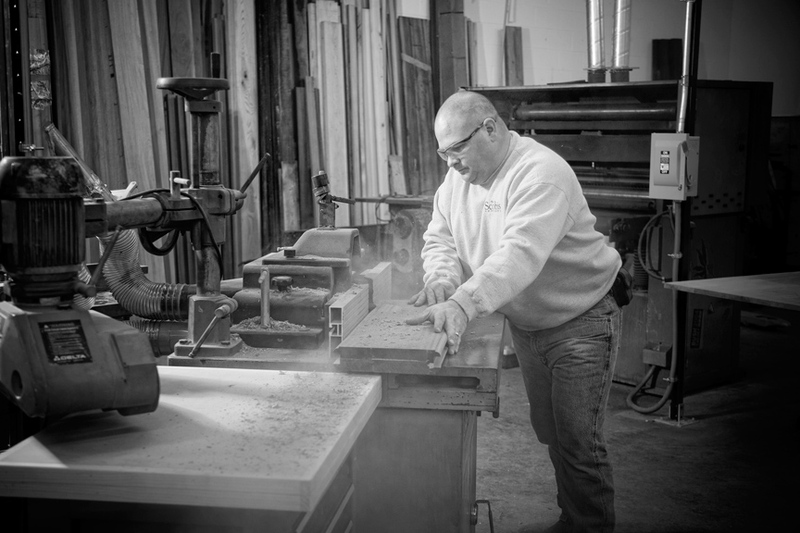 Mike Rachocki started Scobis Company 12 years ago when he decided to make the jump and go into business for himself. “I got tired of working for other people,” Mike says. Mike and his team of craftsmen, Scott Copple and Ray Ellison, create grand entries for residential homes, universities, businesses and churches. The process begins with an initial meeting where Mike finds out what the client wants, discussing all the possibilities. Clients can be as much or as little involved as they want in the design process. Mike tries to make it as painless as possible for those homeowners new to the infinite world of entryways. “We start out at the top of a funnel and then narrow it down from there,” Mike says. He has worked with everything from professional architectural renderings to magazine photographs to an amateur sketch on a napkin to create the ideal entryway. Seven to eight weeks from finalizing a design, a home can achieve a fresh new start. By changing the entrance, you can change the whole perspective. Mike’s favorite projects, the ones that stand out in his memory, are the more unique entryways. He remembers a log cabin door where he used reclaimed wood that had been at the bottom of a river for over 100 years. 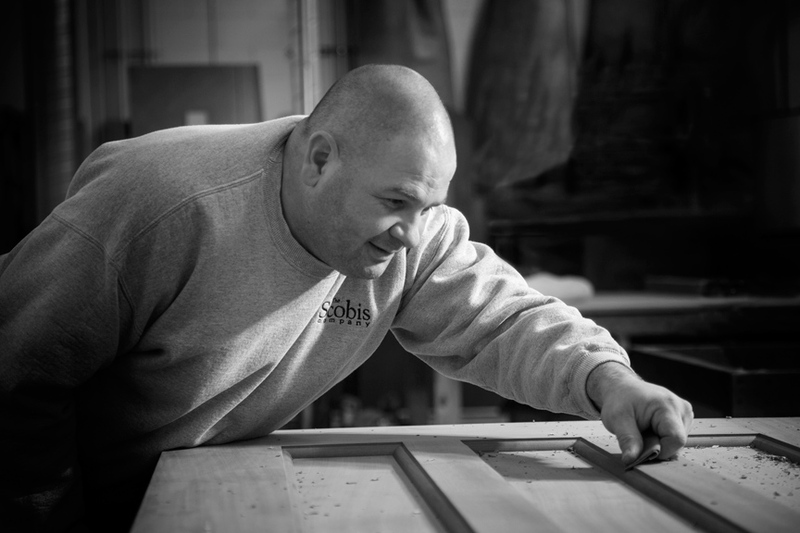 He’s also worked with local craftsmen to create doors with ornate carvings. “There’s no one in town that does it the way that we do it,” says Ray. Everything Scobis Company does is custom made. Ray and Scott make the construction sound like a breeze, but it takes a lot of skill to make a Scobis entrance. 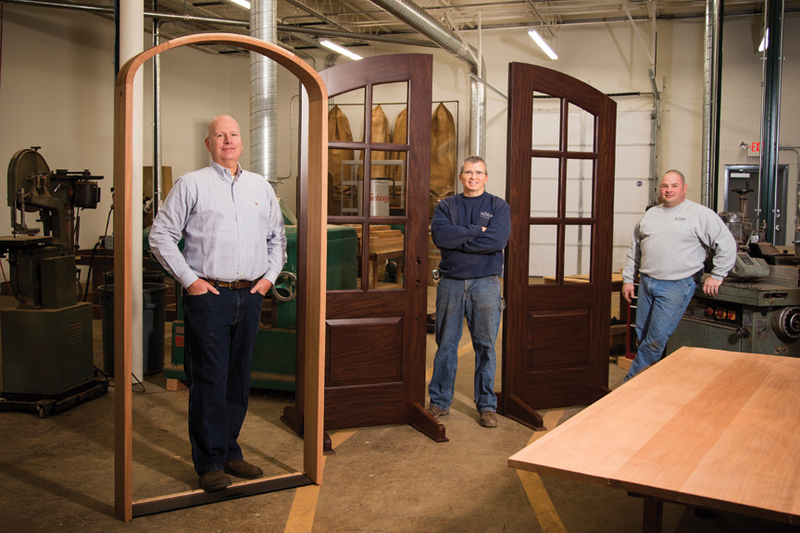 “We unload the wood, plane it, machine cut the parts together and meticulously carve all of the molding, both decorative and practical, for the entrances," Scott says. 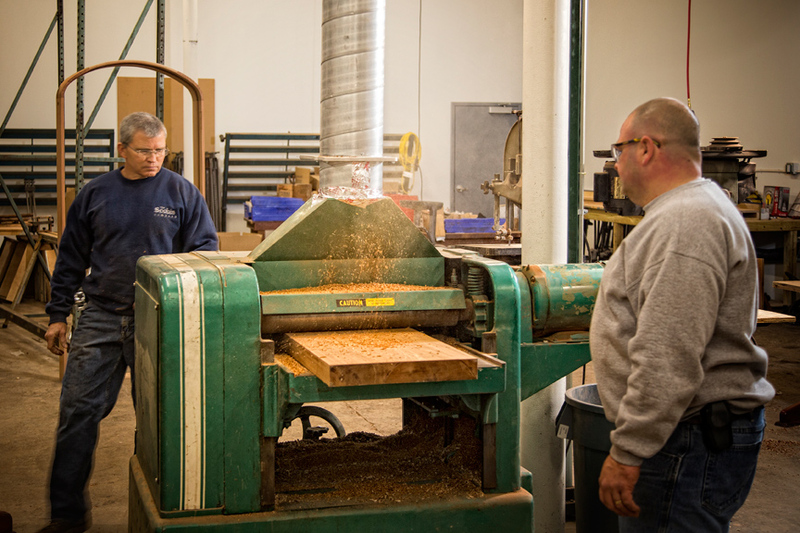 Scobis only uses the best wood, Mike says, carefully selecting it from right here in the Midwest or having it shipped from as far away as Africa. 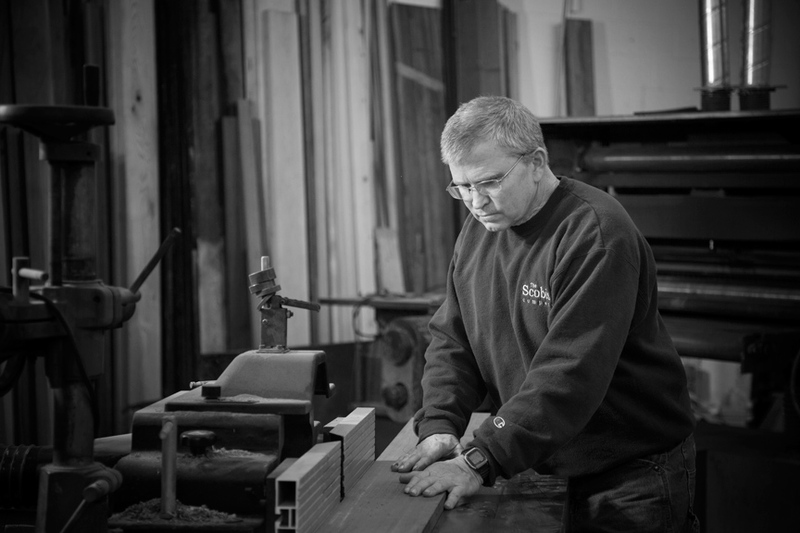 Scott admits he is partial to working with Honduran Mahogany and Walnut, but whichever wood the client chooses; the end result is impeccable craftsmanship. “We do the best job we can do,” Scott says. If you can imagine it, Scobis can create it.